The P-45 Nokota is a throwback to the glory days of flight. You won’t find any touchscreens or A.I. mumbo jumbo in this baby — it’s time to show these youngsters what happens when an old dog learns new tricks. 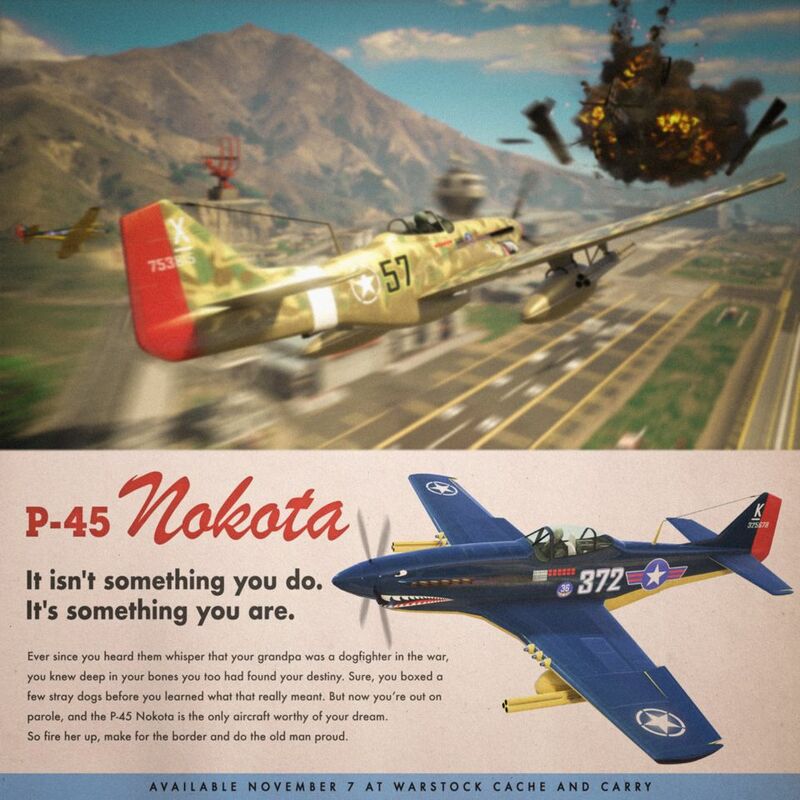 Pick up your P-45 Nokota today, exclusively from Warstock Cache & Carry. This is it — your moment to shine. Glory awaits and the only thing standing between you and victory is the mouth breather in the cockpit at the opposite end of the runway. Send the opposition spiraling to their doom in a series of 1v1 dogfights to rack up points for your team and bring home the win for your squad. And don’t bother checking your six: if they’re behind you, you’re already dead. 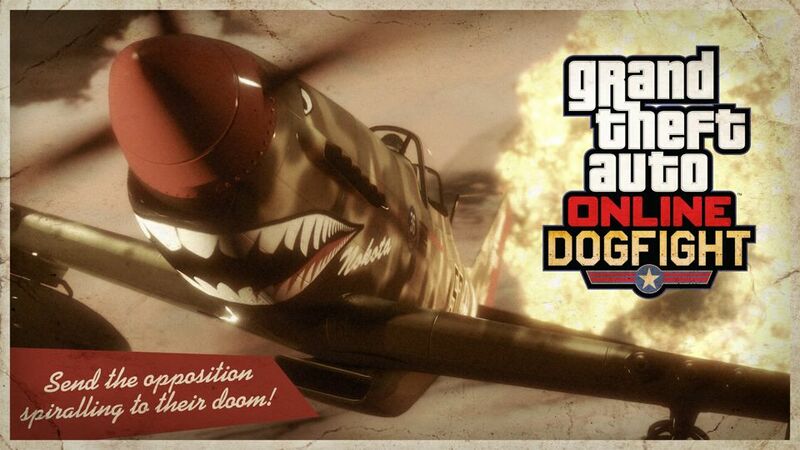 Earn Double GTA$ & RP in Dogfight now through November 13th. 25% off Executive Custom Auto Shop Renovations. 25% off Vehicle armor (land vehicles & aircraft). And if you’re happy to let the liquored-up artists at InkInc. or Blazing Tattoos go at you with a needle, there’s also 25% off all Smuggler’s Run Tattoos. Time Trial — “Great Ocean Highway”.